The trekking tours of Ischia consist of a full day tour of the island on a private taxi or tuk tuk with driver and English speaking guide on board, including a stop for hiking along some of the most beautiful trekking trails in Ischia. 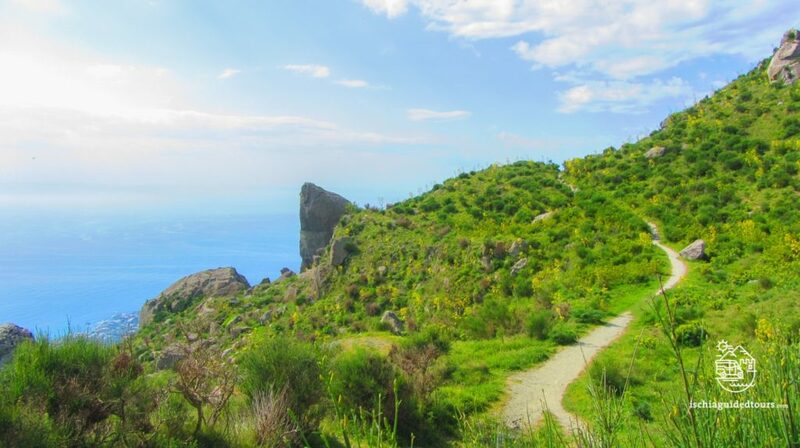 There are several routes available that you can choose, visible in the TREKKING IN ISCHIA page. The tour starts in the morning from your hotel or from any port of the island, if you are visiting Ischia from the mainland. We collect you by private taxi or typical Ischia tuk tuk and we pass through the different towns of Ischia with several stops for photographs in Lacco Ameno, Forio, Sant’Angelo, Maronti beach and the Aragonese castle (from the outside). According to the walking route chosen, we reach the starting point of the trek, that lasts around 2 hours. It is advisable to take water/snacks and wear comfortable shoes. At the end of the walk, our private taxi collects us to complete the lap of the island before we return back to your hotel or the port of departure.